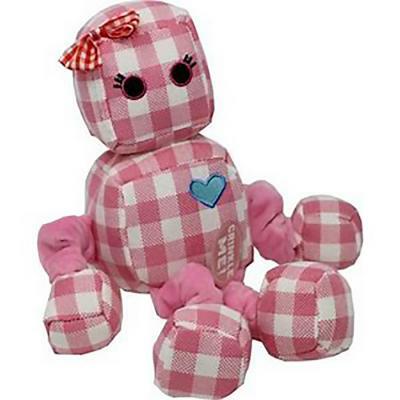 Snuggle, cuddle and play, Rosie the Robot is sure to make your pet happy. This toy is made with a durable linen material, including super fun squeakers and crinkle inside. Plus, bungee arms and legs that will keep your pet entertained for hours. Also, look for Ryder the Robot, Rosie's favorite pal!